Unlike HKS 2 this machine type has short stroke needle movement.The latest type of this machine is HKS 2-3 equipped with a composite material consisting of carbon fibre reinforcement for all knitting element bars.The maximum speed for this machine can reach up to 3000 rpm with a width at 130 ". High performance tricot machine with three guide bars from Karl Mayer ,with medium stroke of needle to produce wide range of applications.When equipped with an elastan device, the HKS 3-M tricot machine can also produce elastic articles. A simple and quick retrofitting of the machine with pile device is possible, because the compound sinker remains unchanged. (HKS 3 M (P) ).The letter (P) on HKS 3 M signify that the machine equipped with pile sinker bar to produce pile sinker fabrics. For more information about pile sinker see also ‘Pile Sinker Warp Knitting Tricot Machine’. 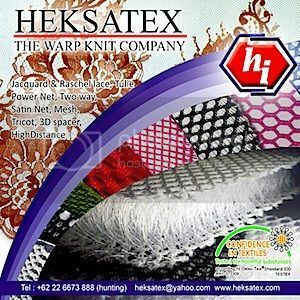 The following are some of applications that can be produced in HKS 3 M tricot machine. High performance tricot machine from Karl Mayer with three or four guide bars and short-stroke needle for produce rigid structures and elastic articles when equipped with elastic devices such as deviation tubes for back guide bar and batching device for elastic fabrics. Below are some of applications that can be produced in HKS 3-1 / HKS 4-1 tricot machine. High performance four bars tricot machine without Pile Sinker (HKS 4 ) and with Pile Sinker (HKS 4 P) for produce wide range of applications.For more information about pile sinker see also ‘Pile Sinker Warp Knitting Tricot Machine’. The following are some of applications that can be produced in HKS 4 / HKS 4 P tricot machine. High performance four bars tricot machine with electronic guide bar control EL.Unlike the HKS 4 that uses the pattern disk to drive guide bars, HKS 4 EL using Line ar motor with electronic control to drive a guide bar. 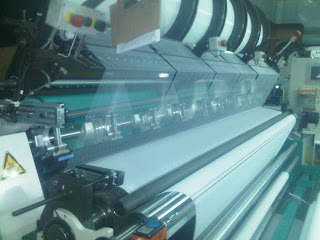 Basic tricot machines with two bars and three bars for produce rigid fabrics. Below are some of applications that can be produced in TM 2 and TM 3 tricot machine.